Summer discovered Pilates by accident – literally – after injuring her shoulder in a snowboarding incident, a co-worker recommended she try Pilates. She had never heard of it, but was desperately seeking a way out of the chronic pain. She found Nicole Duke at Balanced Body Fitness and never looked back. It was love-at-first roll-up, and she began attending as many Pilates sessions as she could afford. 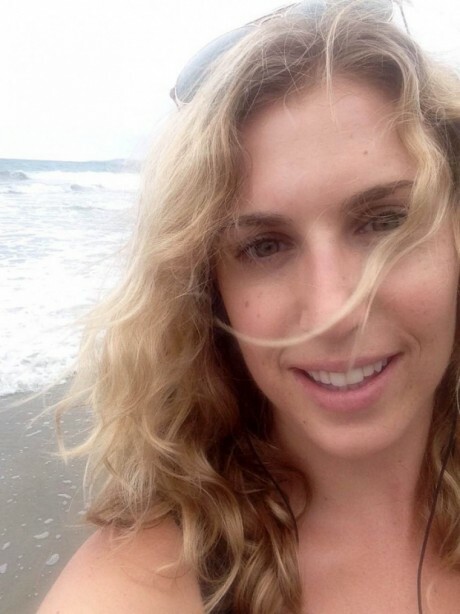 A year later, Nicole encouraged her to pursue a Pilates career! She contemplated this career shift and decided it was a perfectly wonderful opportunity she couldn’t pass up. Completing her certification in 2004, through Pacific Movement Center in Santa Cruz, CA, she’s continued to expand her education and skills through training at Ellie Herman Studios in Brooklyn, N.Y. and with Stephanie Spencer at Pacific Movement Center. Summer’s committed to continuing her education, to keep herself inspired and fresh, and to keep her clients on their toes! Most recently she has become a Pre/Post Natal Specialist thru the Center for Women’s Fitness. She holds certifications that help her to better serve Athletes, those with Osteoporsis/Osteopenia, Scoliosis, those with Hips & Shoulders replaced or preparing for surgery, Chronic Back Pain sufferers, Ankle/Feet issues, and more. Her teaching style is nurturing, encouraging and empowers her clients to learn their way into better fitness, health, and an overall better life experience. She loves Pilates for its whole-body approach and focus on mindful movement with deep breathing. Her goal is always to teach her clients how to use Pilates practically to enhance their overall life experience. She wants nothing more than for her clients to feel better when they leave than when they came. She enjoys motivating and encouraging confidence in her clients by helping them develop efficient, healthy movement patterns for everyday living. She is also a Shiatsu massage therapist through Twin Lakes College and she utilizes her healing hands on clients who need a little more than just a workout. Michelle is a BASI trained Pilates instructor, with a passion for fitness since her days as a track and cross country scholarship athlete and her experience as a classically trained dancer. Michelle carries the following advanced certifications: Pilates for Injuries and Pathologies certificated with Samantha Wood (MPT, MBA, PMA-CPT, RYT) Pilates for osteoporosis certified with Theresa Marchok Maldonado ( PT, Martha Graham dancer) Pilates for Shoulder work shop with Karen Clippinger Special niches: Post rehabilitation -using Pilates appropriately to help clients recover from injuries,pathologies, surgeries as well as optimizing for and function for this with chronic conditions . Pregnant and postpardom Pilates Pilates for Tweens and Teens Pilates for Seniors Pilates for Athletes of all ages Michelle teaches Pilates Mat and Apparatus Group or Private. With a ‘stay fit for life attitude’, Michelle will help you cross train for ideal body mechanics and postural alignment & build strength and flexibility in major joints. Call or email today! Cody discovered Pilates many years ago as a means of enhancing her dance practice and overall body awareness for more efficient movement. However it was not until the birth of her daughter in 2007 that she got serious about her Pilates practice. Not only did Pilates help her rebuild strength postpartum but also allowed Cody to discover a deep inner body connection that helped bridge the inner and outer world, connecting mind to body in the most profound way. 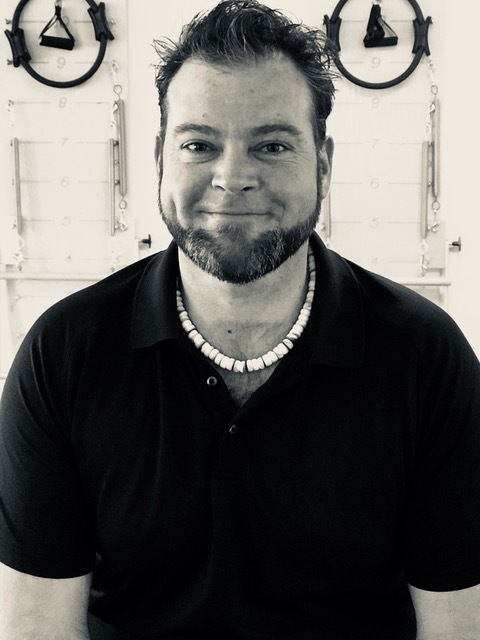 Cody is certified with 500 hours of training through the Midwest Pilates Institute teacher-training program in mat and apparatus, 500 hour post certification study in Mastery technique, as well as a certification from the Pilates Method Alliance. Cody is currently working towards a post baccalaureate degree in Physical Therapy. 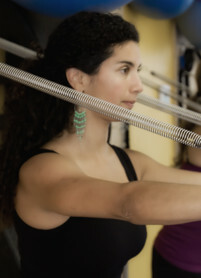 Ka has been a dedicated Pilates practitioner since 2008. She discovered the positive benefits of Pilates while recovering from the birth of her first baby. She has a sensitive eye for alignment issues, and is a caring person that wants to help her clients feel comfortable and confident in their own bodies. She is passionate about learning and becoming the best instructor she can be for her clients. Born and raised in Brazil, Ka is a fun friendly spirit. She has a degree in Inter-Cultural Communication from San Jose State University. Her teaching style is based on respecting ones physical needs and limitations through open communication. She is devoted on teaching a solid the foundation of Pilates principles in order to establish the mind and body connection that Pilates requires. Ka has completed the Balance Body instructor training program at Agile Monkey. She is deeply inspired and empowered by Lisa Graham, Summer Doty, Arwen Brooke, and Ky Carnell-Russell, and is happy to be part of the Pilates community in Santa Cruz. Jenny was born in Oakland and moved to Santa Cruz as a teenager. Jenny has always been athletic (playing sports, skateboarding and snowboarding) but she first discovered Pilates at Cabrillo College and immediately fell in love. The deep core work and mind body connection was not something she had ever experienced, yet immediately began to crave. She continued to practice Pilates until a severe ankle injury that she got while skateboarding put that on hold. It was then that Jenny found Agile Monkey Pilates. She rehabilitated her ankle back to health and found the true healing powers of Pilates, and decided this was something she wanted to be a big part of her life. Jenny completed the Balanced Body Instructor Training Program in 2009 at Agile Monkey. After taking some time off to study Nutrition at San Jose State University, Jenny returned to Agile Monkey to complete her certification and integrate herself into the Pilates community. Jenny is now excited to be teaching classes at Breathe Deeply Pilates. She is also available for Private Apprentice Instruction. 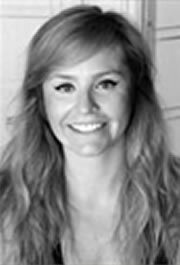 Kendra is a native of Ventura, CA and enjoys being active in many ways including Pilates, swimming, hiking, and running. Kendra began her Pilates journey in California in 2011. She connected with Pilates unlike any other fitness class. During her early practice, she had many aha moments when feeling the importance of the mind and body connection through each precise movement. Kendra became certified through Body Arts and Science International (BASI) in February 2015 in Costa Mesa, CA. 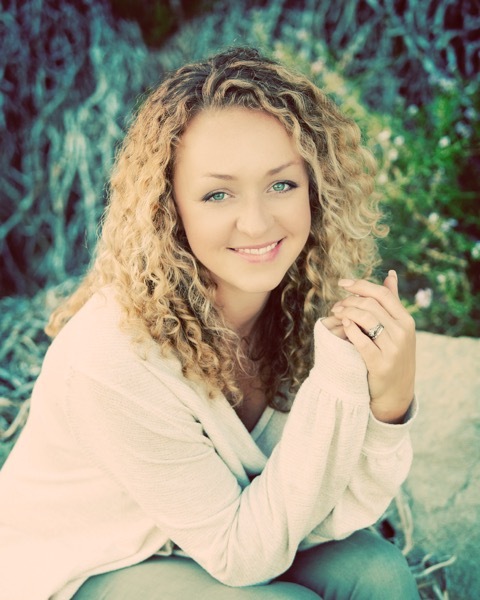 Kendra has taught throughout CA including Santa Barbara and Santa Cruz, along with teaching in Aspen, CO. In addition to teaching Pilates, Kendra was exposed to Foundation Training, she connected with the changes in her own body and applied this to the way she worked with clients. Kendra took the Foundation Training certification in late 2015. Kendra also received her M.A. in Psychology from Antioch University, Santa Barbara. She is passionate about helping her clients discover how powerful they truly are as they have their own aha moments and connect their minds and bodies through Pilates. Kendra currently teaches Tues/Thurs afternoons and Saturdays. Ali Lee grew up as a dancer and trained very hard and competitively from age 3-18 and on and off until about age 25. After traveling through Central America, she decided to come back to Santa Cruz to study Pilates and become a dance and Pilates teacher. She has been teaching ever since, using her training to build strong and healthy dancers. Pilates made the light bulb go on, giving her such a deeper understanding of how the body is designed to move and why. She received her Certificate of Graduation in Pilates mat and equipment training from Pacific Movement Center with Stephanie Spencer and Donna Luder in 2006. Ali loves Santa Cruz and lives here with her husband and two boys, ages 5 & 4. In addition, she graduated from the Institute for Integrative Nutrition where she learned innovative coaching methods, practical lifestyle management techniques, and over 100 dietary theories; everything from Ayurveda, gluten-free, Paleo, raw, vegan, macrobiotics and everything in between. Her education has equipped her with extensive, cutting-edge knowledge in holistic nutrition, health coaching and prevention. Drawing on her expertise, she works with clients to help make lifestyle changes and choose health-promoting ways that produce real lasting results, developing a deeper understanding of food and lifestyle choices that work best for you, improving your energy, balance, health and happiness. Emile was born and grew up on a mountaintop, among vineyards, in Glen Ellen, California. His family of surfers loved to travel and to study languages. Along with surfing, Emile was a swimmer and played baseball and soccer. It was his love of wrestling, however, that influenced his choice to attend university at Cal Poly in San Luis Obispo, and he graduated with a major in Philosophy. He also studied in Spain and in South America. Emile was introduced to Pilates in Glen Ellen over 15 years ago, in a studio founded by Madeline Black. He loved it immediately, finding a way to be in his body that he had never experienced while surfing or doing other sports. He learned that core strengthening, breathing, and mindful movement lead to health and happiness. He completed the Balanced Body instructor training at Agile Monkey and has been working as an instructor in various locales. Emile is excited to share his passion for Pilates as it has made a dramatic difference in his life and the lives and bodies of his clients. He particularly enjoys sharing and spreading smiles along with the joy of movement. He hopes you leave the studio with an enhanced awareness of your posture, stability, breath, and a sense of being more present in each moment — the Pilates glow.